While I am not a popcorn lover, every now and then I enjoy a good crunch. 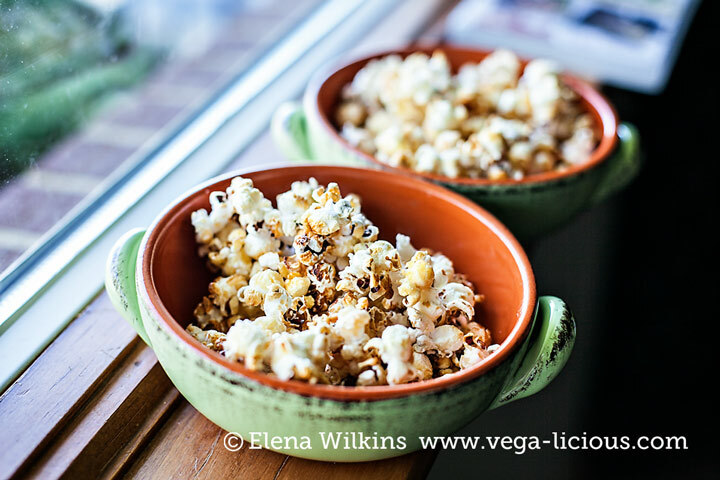 Last year I shared a fat free caramel popcorn recipe on Vegalicious. At that time I used the old-timer method of popping corn in a pan. 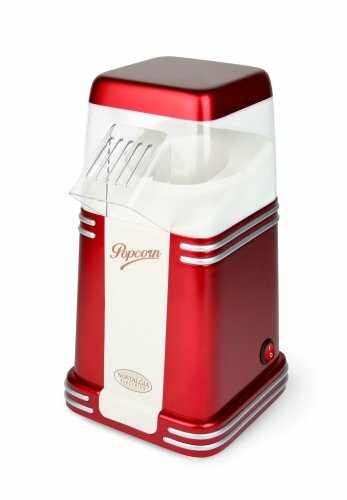 This year I splurged a little and got myself a hot air popper. So far it has been one of the best expenses, even if it were just for this special time with Sprout. It took me only 3-4 minutes to pop a bowlful of popcorn, and another 5-7 to make caramelized popcorn. The result was fabulous and Sprout was in LOVE! 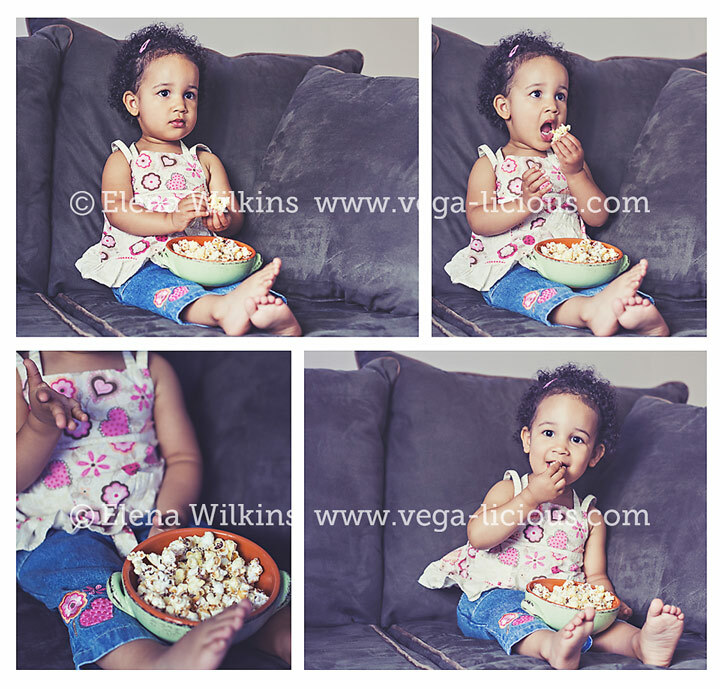 She was too cute to watch, so, instead of just watching the movie with her, I had to steal a few snaps of her first popcorn experience, before joining her on the couch with my own bowl of caramel popcorn. Make it and let me know how you like it. If you love it, and I know you will, share this recipe around the web and with your friends and family.